Customer expectations are transforming because customers themselves are transforming. This statement can’t be more true for the Financial Services and Capital Markets Industry. We're in the middle of a significant inter-generational transfer of wealth. Dig into the patterns and the expectations of the new generation and some clear behaviors emerge. The new generation is more mobile and digitally in tune with value, but what about personal interaction and customer service? And what’s the ... See More future of the financial advisor - or the branch? How can Financial Services Institutions transform to thrive in the digital age? 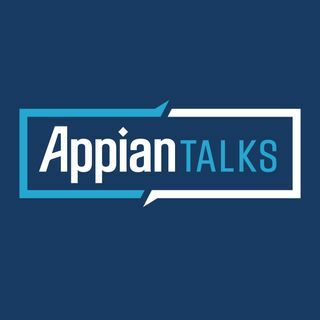 In part 1 of this 2-part series, Mike Heffner, Appian’s VP of Global Banking and Capital Markets discusses the challenges bankers face in the age of digital disruption and how they can respond to be more transformative. Additional topics of discussion include the impact of FinTech, reimagining customer experience, gaining greater value from tech investments, emerging digital technologies, and the strategic direction and core IT capabilities needed to drive enterprise change. Abby Jacobs serves as contributing host.